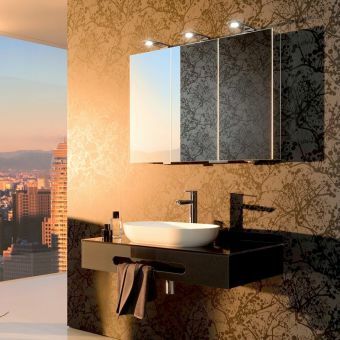 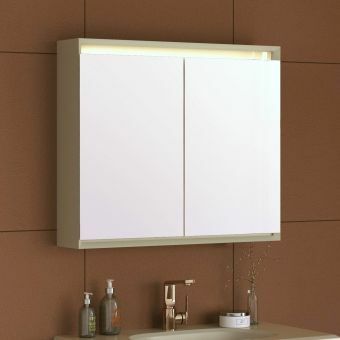 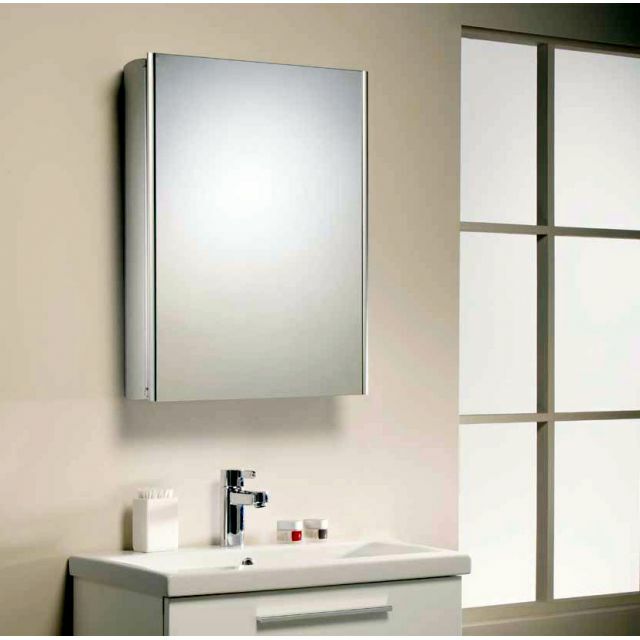 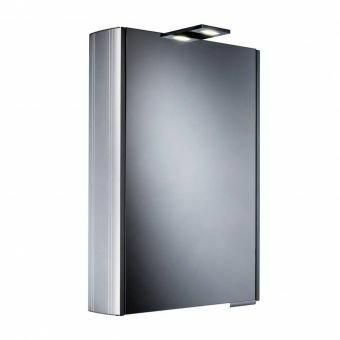 Quickly give your bathroom a sleek and modern appearance by purchasing this Roper Rhodes Ascension Single Door Cabinet. 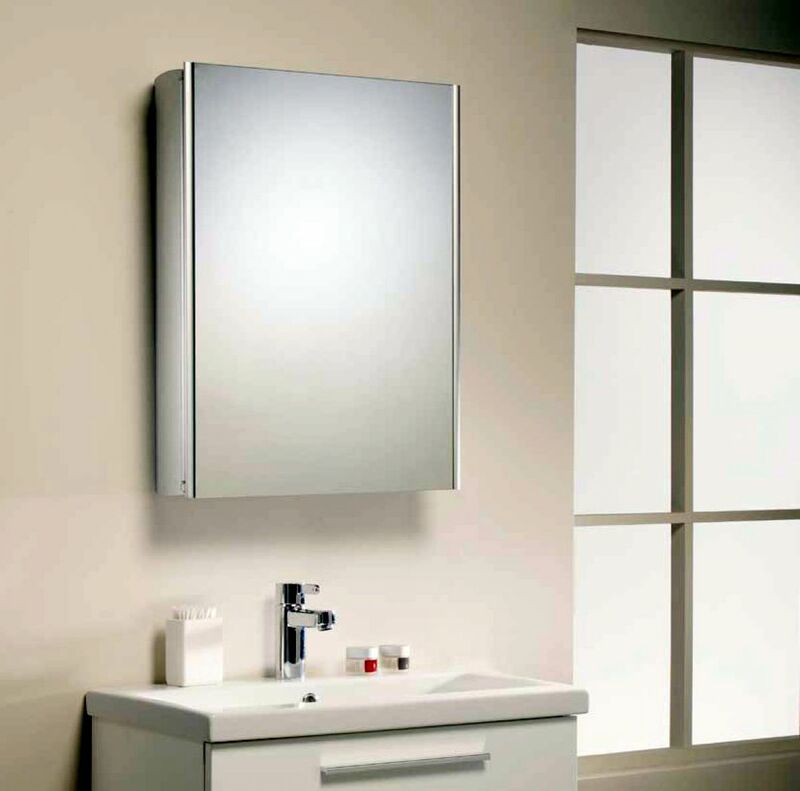 The body features tough anodised aluminium, so it's easy to care for, and able to resist rust. 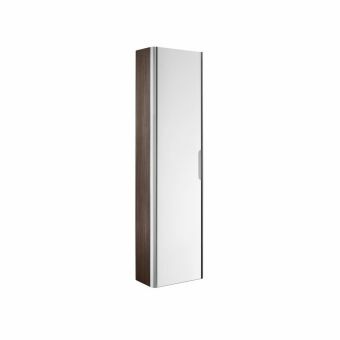 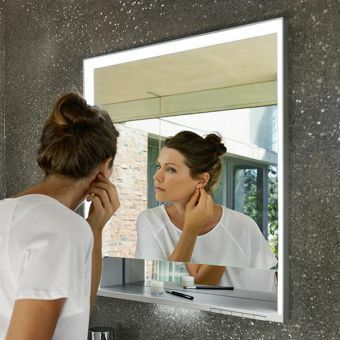 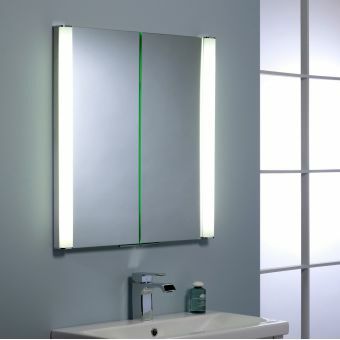 The cabinet door features a convenient double-sided mirrored finish and concealed handles for a handy, non-nonsense look. 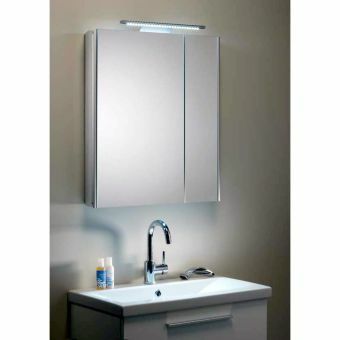 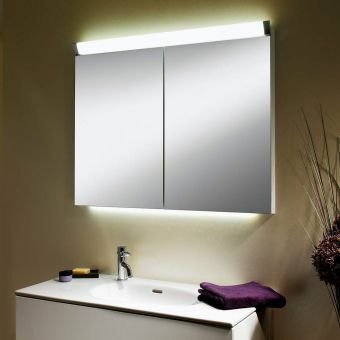 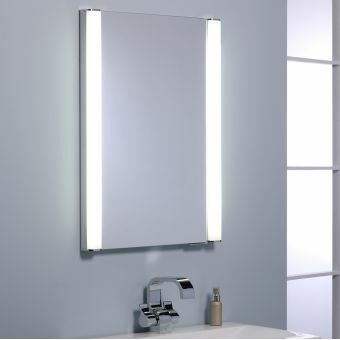 This cabinet model is also available with a set of 28 LED lights, plus shaver socket electrics with three adjustable glass shelves. 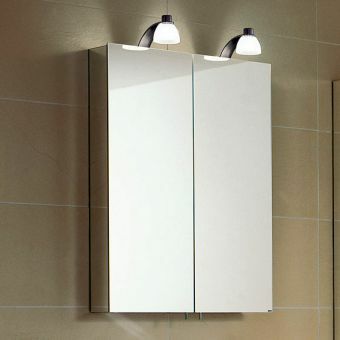 Choose either version to suit your specific requirements. 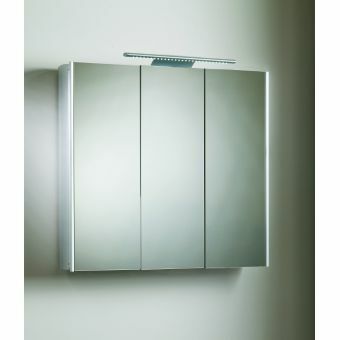 Inside the cabinet, there's a removable bottom tray ideal for stashing toiletries. 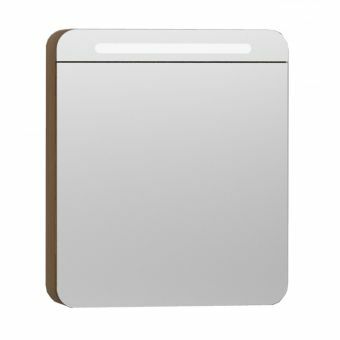 The 515(w) X 700(h) X 144(d)mm size fits the pace of your household by providing an attractive storage option to enhance your bathroom and simplify your personal care routine. 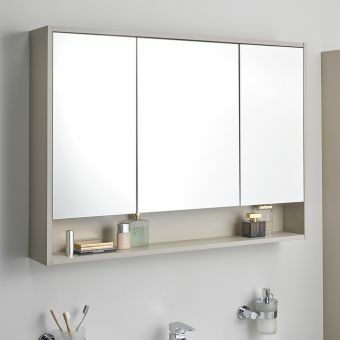 Buy this cabinet today and look forward to compliments from guests.